• Radio controlled for split second accuracy. • Just insert the batteries and the clock will automatically set the correct time. • Plastic case with silver trim. 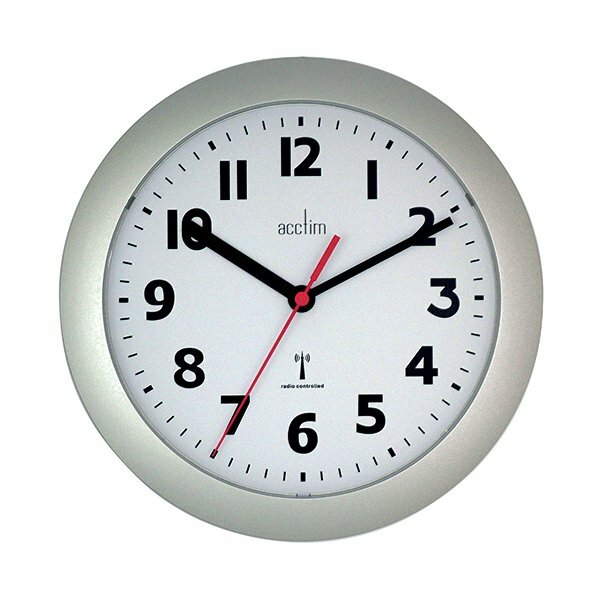 You never have to worry about setting the right time with the Acctim Parona Radio Controlled Plastic Wall Clock (74317) - accurate down to split second timing. Using a radio-transmitted time signal from Anthorn in Cumbria, the Parona's precision quartz movement automatically sets the correct time - ideal for workplaces where good timekeeping is critical. 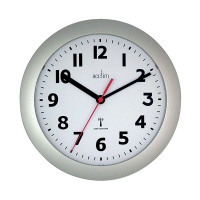 A sturdy plastic lens protects the 230mm dial from damage or tampering.